Before and after pictures of a bird’s home. 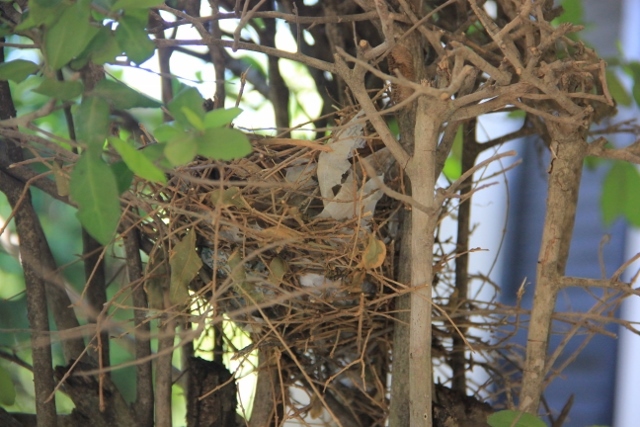 First, it’s the nest without the bird and I thought it was a dove’s nest as I kept seeing a dove fly out of that tree. 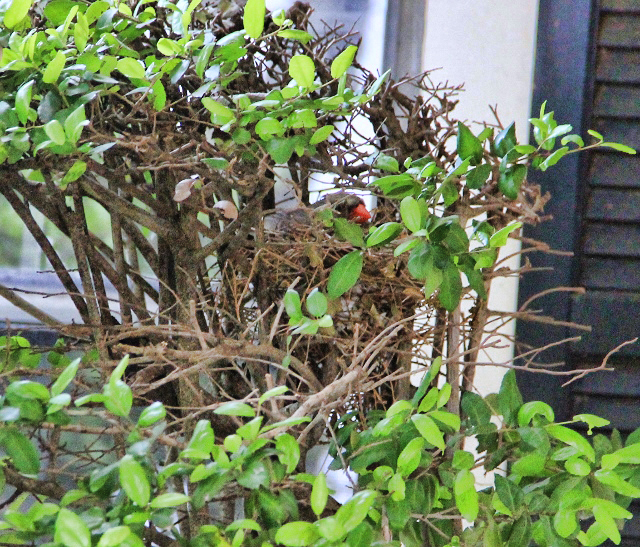 But then a couple of days later, I saw a red beak and knew I had mistaken the bird that lived there. The cardinal and she just watched me as I drew close enough to take a picture, but tried not to scare her off. I think she’s sitting on her eggs, protecting them from the Easter bunny. Hope you have a lovely Monday and had a grand Easter weekend!